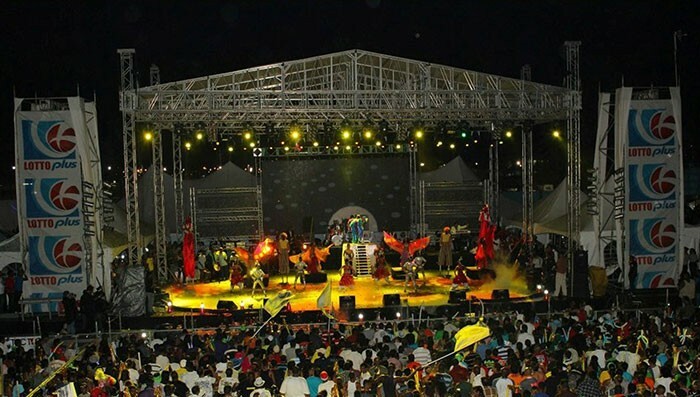 With 15 of the biggest Chutney Soca artists in the world taking part, the recent Chutney Soca Monarch competition, held at Skinner Park in Trinidad’s San Fernando, was the biggest of its kind in the world, showcasing talent from North America, the Caribbean and the UK. This event has been taking place for the past 18 years under the organisation of George Singh’s South Ex Event Management. With 10,000 people attending, the event is a launching pad for many careers in the industry and has triggered an international awareness of this music genre overseas, creating some massive productions. 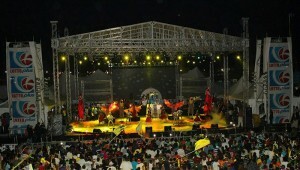 Prevalent in Trinidad & Tobago, Guyana and Surinam,‘Chutney Soca’ itself is described as a crossover style of music incorporating Soca elements and Hindi-English lyrics, with the indigenous ‘Chutney’ music complemented by Indian instruments like the dholak and dhantal. This year five cultural icons performed — along with the contestants themselves — under a rig populated largely with automated fixtures from the PR Lighting catalogue, supplied by All Events Lighting Systems (AELS). The company has been providing production services for the competition over the past five years, and has been the local territorial distributor for the Chinese manufacturer for the past ten. 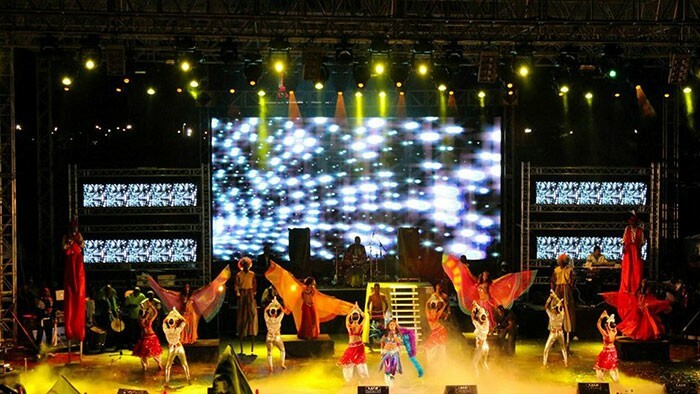 To meet the stage lighting design conceived by Shival Maharaj, AELS provided no fewer than 24 PR Lighting XL1200 Spots, 12 PR Pilot 1200 Washes,10 PR XR Beam 200s and 10 PR Pilot 575 Washes as well as 24 Par 64 cans and four Molefeys. 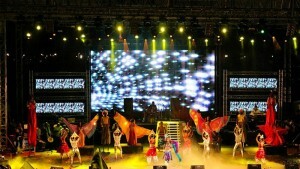 This was supplied as part of a turnkey production that also included staging, venue décor, audio and power. AELS’ Kimberley Leonce described the event as “an absolute success”. One of the highlights was the appearance by the aforementioned cultural icons — Sam Boodram, Budram Holass, Rakesh Yankaran, Rasika Dindial, and Ramrajie Prabhoo — who were honoured in a special ‘Living Legends’ feature. George Singh was also delighted with the standard of technical production, deeming the event “the best ever”.